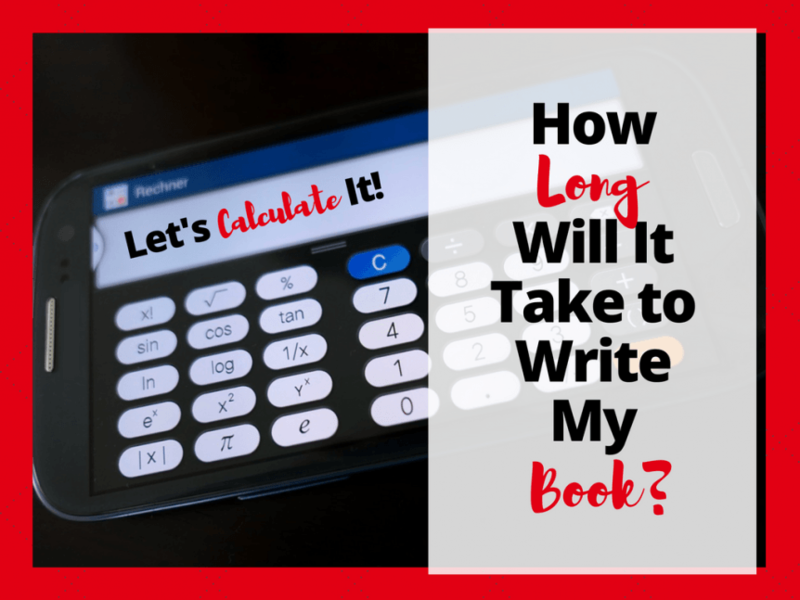 How long will it take to write my book? How much should I write everyday? How Long Will It Take to Write My Book? But first, we need to set some parameters to work within. Below you will find an embedded spreadsheet with calculations. There are THREE TABS on this sheet. So, pick which tab is closest to the length of the book you intend to write (approximate). How should you approximate the length of your book? Well, you could pick up a few books from authors you respect and see how long those are. 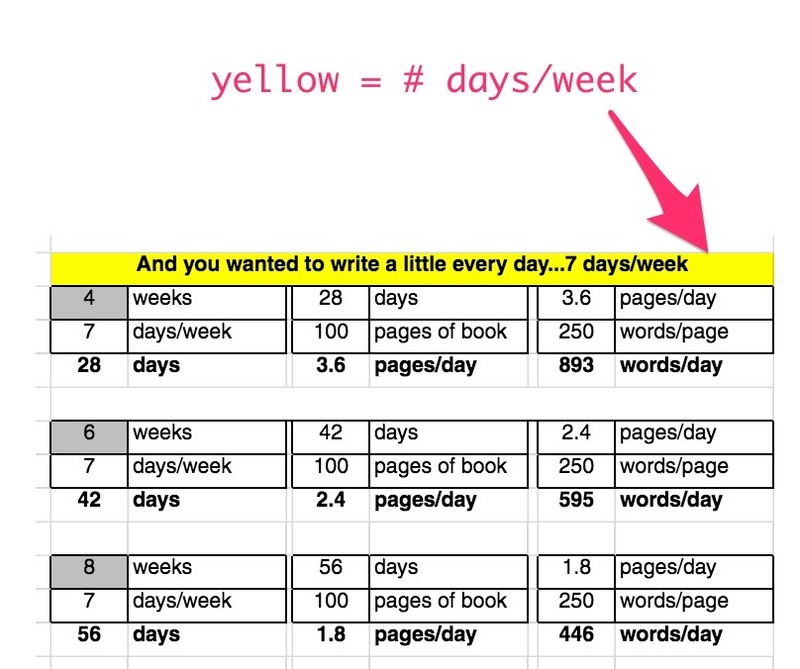 looking below on the spreadsheets, you will see a yellow section that indicates how often you’d like to plan to write each week. The options are 7, 5, 3, and 1 day per week (thus, four sections). Under each yellow section, on the left-hand side you will see grey boxes. 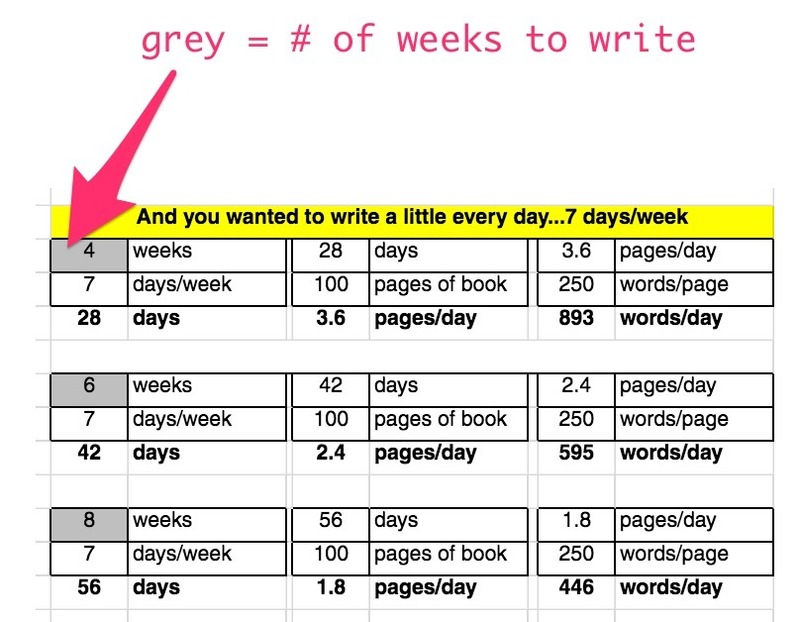 The numbers inside the grey boxes indicate the number of weeks you’d like to allot for writing. 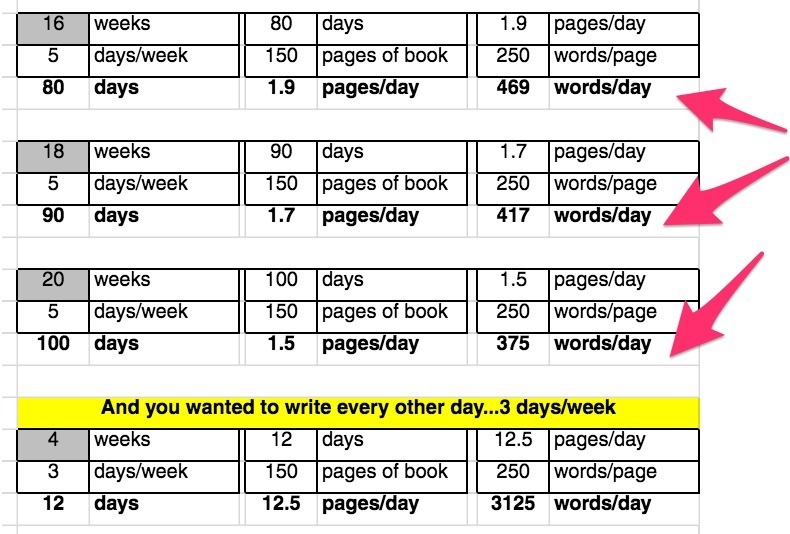 This ranges from 2 to 20 weeks for all days/week frequencies…but I added up to 38 weeks for the once a week option. OKAY, I GET IT…WHAT CAN I READ FROM THIS SHEET [BELOW]? Now that you understand the numbers in the sheet below called “How Long Will It Take to Write My Book?” — the bold number on the right of each block of values is the answer you are looking for! 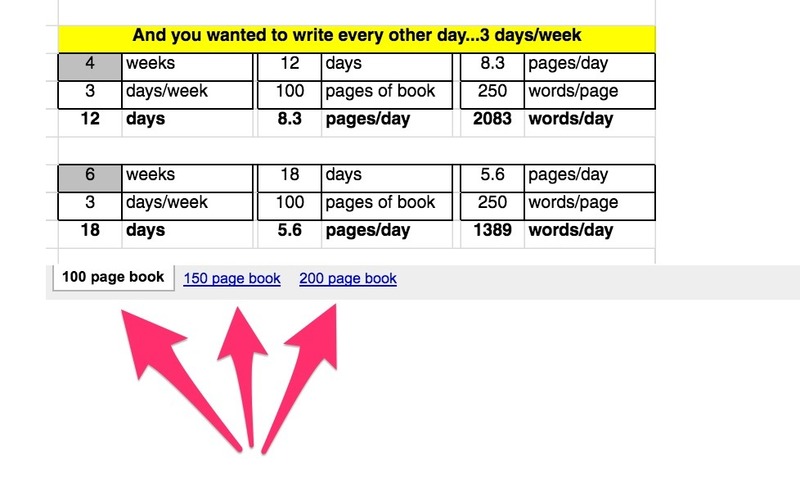 If you want to know the answer to “how much should I write every day?” look there! 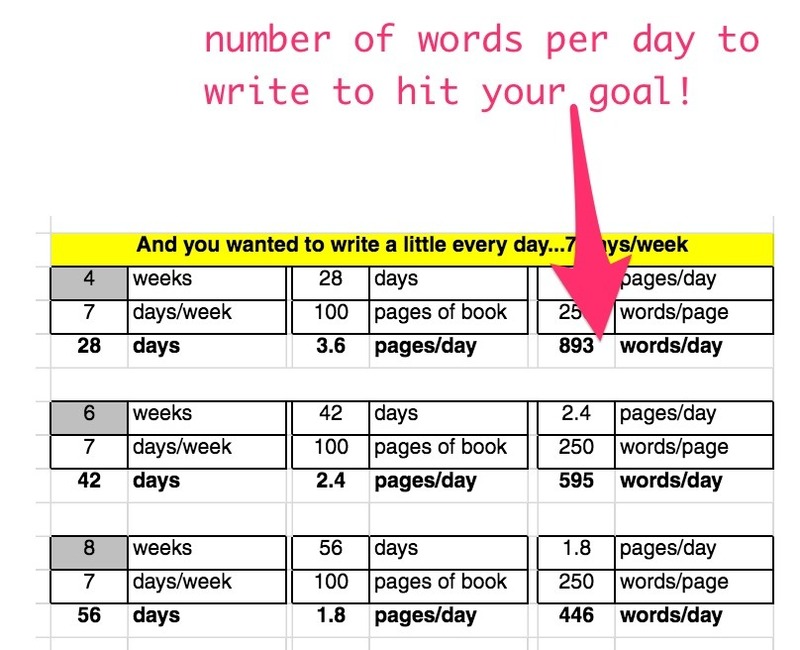 Then, you need to shoot to write about 893 pages per day to hit your goal! But is this the only way to use this cool book-writing spreadsheet? What if you know how many words you’d like to write each day and want to see how long it will take you? write 5 days/week for 16 weeks, 18 weeks, or 20 weeks! but if you’re willing to write 7 days/week, you can do it in 12 weeks! …but, hopefully the calculations on these sheets above help you get an idea of what your writing goal could be to knock out your awesome book and use it to grow your credibility, sales, and brand! The free 5-day training I made for ya! We also welcome you in the Facebook Community!